Pumpkin season is officially upon us, and while I know lots of those tasty pumpkin spice treats out there are off-limits to my gluten-free peeps, Simply Gluten-Free has a couple of sweet pumpkin recipes for us to share this week! The first is a pumpkin walnut cake that basically just screams autumn to me. Pumpkin puree, cinnamon, cloves, nutmeg and vanilla give this the pop of fall flavor we’re all craving right now. And be sure to check back later this week — we’ll also be sharing Simply Gluten-Free’s recipe for no-bake pumpkin cheesecake. If you’re interested in other g-free recipes, you can find this issue on newstands through the end of the month! 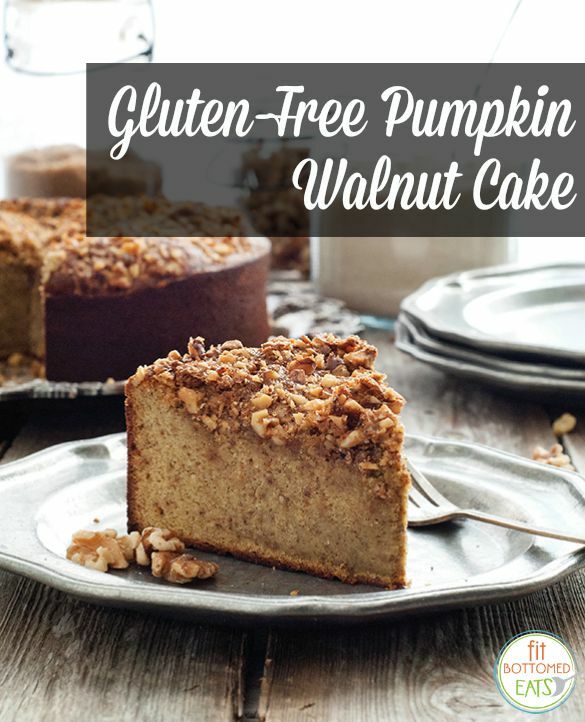 Simply Gluten-Free's Pumpkin Walnut Cake is full of that fall flavor we love! Line a 10-inch springform pan with parchment paper, and spray generously with gluten-free, nonstick cooking spray. Place sugar in the food processor and process for 30 seconds. Add pumpkin, eggs, almond flour, cinnamon, salt, cloves, nutmeg and vanilla. Pour into prepared pan, and smooth the top. Combine walnuts and brown sugar in a small bowl, and sprinkle on top of cake batter. Bake 55 to 65 minutes or until a toothpick inserted into the center comes out clean. Let cool in the pan, then remove the outer ring of the pan. This sounds amazing! I’m definitely going to try this one. Thanks for sharing! Hey, Thanks for sharing the recipe. I really wanted this recipe as I was craving for it. I am going to try it on weekend.